Privacy is important for you but you don't want to rent the whole house? Seems like private holiday appartment is a perfect solution for you. In Liguria, there are plenty of those to choose from. 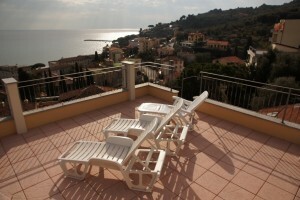 For a restful and eventful vacation, finding accommodation in Liguria is precisely the right thing to do! We from Blumenriviera GmbH will gladly advise you when choosing a beautiful holiday apartment in Liguria from our private property owners. We have a multitude of offers in the provinces of Imperia, Genoa, Savona and La Spezia, and we shall be very pleased to help you find the right holiday apartment. Our holiday apartments and holiday houses at the Italian Riviera are carefully selected by our team. 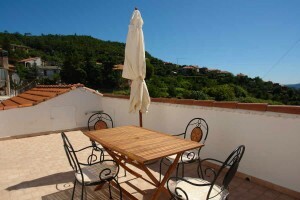 We know the Italian owners personally and can recommend our guests holiday apartments directly by the sea, with a pool, with a view of the sea or in the quietly located hinterland. Selection of holiday apartments to be included in our catalog is carried out by our experienced team right on location. We offer our guests only holiday domiciles personally selected by us for their most beautiful time of the year. 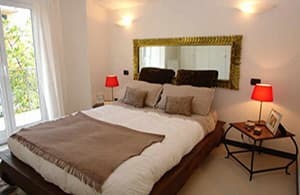 Each holiday apartment has its own character and was furnished with love of detail. 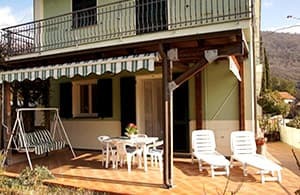 Almost all the holiday apartments have a balcony, a garden or a terrace where you can start your day with a comfortable breakfast in fresh air. 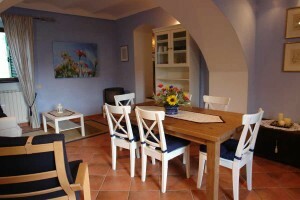 If you are travelling as a family, you will also find large holiday apartments through us, with more than one bedroom. If you want something smaller, we shall gladly recommend comfortable and favorably priced apartments. 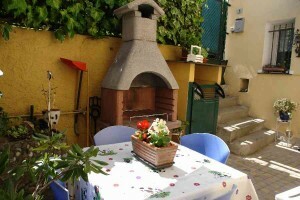 Hospitality is a highly treasured thing in Italy, and most especially in Liguria. In many of the apartments we offer, the private property owners don’t accept to be denied the opportunity to supply their guests with fresh and delicious products from their own farms. Perhaps you will be able to obtain one or the other popular recipe from there and prepare Ligurian delicacies to spoil your friends and acquaintances at home. Quite often property owners like offering meals too in their "Casa" (house), in addition to the holiday apartment - you shouldn’t miss them. The varied tastes of Ligurian delicacies will fill you with enthusiasm! Italian cuisine is very well known and is popular worldwide because of its easy digestibility. The fresh ingredients turn each dish into a unique culinary experience. Let yourself be spoiled and inspired by the wonderful recipes. 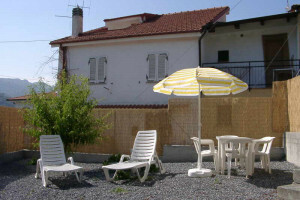 Enjoy the pleasantly mild climate which is found in northern Italy all year round. The Ligurian region with 300 sunny days in a year offers a wide range of activities for those who love culture. Discover Liguria's history in the dreamy medieval towns or spend your time in museums and galleries. The imposing mountain landscape, the wonderful sea and the many small villages will guarantee you vacation full of variety. You will have many possibilities in the region – ranging from playing golf and motor cycle tours to extreme sports. Do not miss the village celebrations which take place during summer in the small villages in the hinterland. These are normally announced on the municipal notice board, and you can be sure to have a fun-filled evening amidst lots of dancing and different food stands. The picturesque landscape full of contrasts between mountains and the sea will turn your vacation in Liguria into a pleasant and lasting memory. All places of interest can be accessed from your private holiday apartment by car, train or bicycle. We, or the hospitable host, will be glad to give you yet more tips for your excursion. 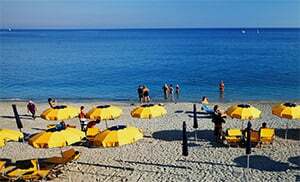 Rent one of our private holiday apartments or houses and enjoy your well-deserved vacation in Ligurien on the North Italian coast. The team at BlumenRiviera and our private property owners would be glad to welcome you as one of our guests.